Thank you for this interview, it is an honour for me to interview such a talented Musician from the game industry…. What did you want to do when you were at school for a career, and what was your first job? 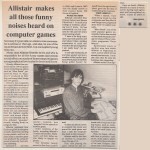 I wanted to be a games coder initially and my first job at the age of 16 was as a caretaker in the local police station! When did you realise you wanted to get into game industry, and how did it happen? I was fairly musical already, having attained piano grade 5 and loved computer games and the music on the early 8 bit computers. After I realised that games coding was pretty difficult, at least for me, it because obvious I should mix my music & gaming interests. The big break came when I purchased an Amiga and produced some music demo’s which I sent to 17 bit Software, a public domain company where music, graphics and programs were distributed for the price of the disk. 17 bit, loved my remix of Jarre’s rendezvous and featured it on their news disk! 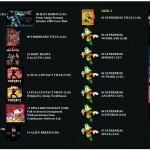 When 17bit later turned into Team 17 and I was offered my first game music work, I never looked back. I understand you were a big game player when you were younger on the ZX Spectrum. Is that your favourite computer, or do you have a different favourite? All of the computers I’ve owned have their own place, The Spectrum, C16, C64 & Amiga but the Amiga was such a huge jump forwards in graphics and sound that helped me make my career that I have to go for that! The spectrum 48K however still has a special place as my first computer. You have a very impressive CV working on many platforms. Which was the easiest to work with, which was the most challenging and what were the challenges? The easiest was probably the Amiga due to its easy to use Sound-tracker program and use of samples. The NES was probably the most tricky. There were no special music editors, instead everything was done in a text document. You had to type in all the notes for every musical phrase, instrument setting & sequence data. You have worked for some great companies such as Codemasters and Team 17 didn’t you? Whilst I’ve always been freelance, Team 17 and Codemasters along with Grandslam Entertainment were the first companies I worked with. 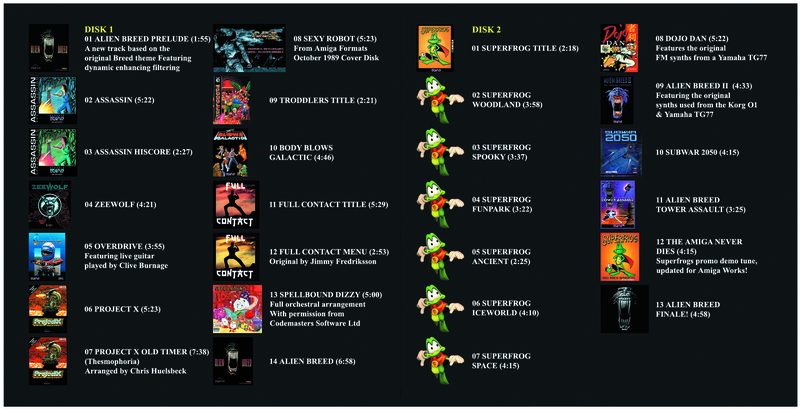 Team 17’s range of Amiga games which I was lucky enough to work on were ground breaking with the first ever 1meg only games such as Alien Breed, Project X, Super Frog. I also worked on many games for Codemasters in their budget range, starting with the Amiga but then going back to do NES, Spectrum & C64. I understand you wrote a lot of music for the Dizzy series, which are my favourites.. Did you meet and work with the Oliver Twins who I interviewed last year? 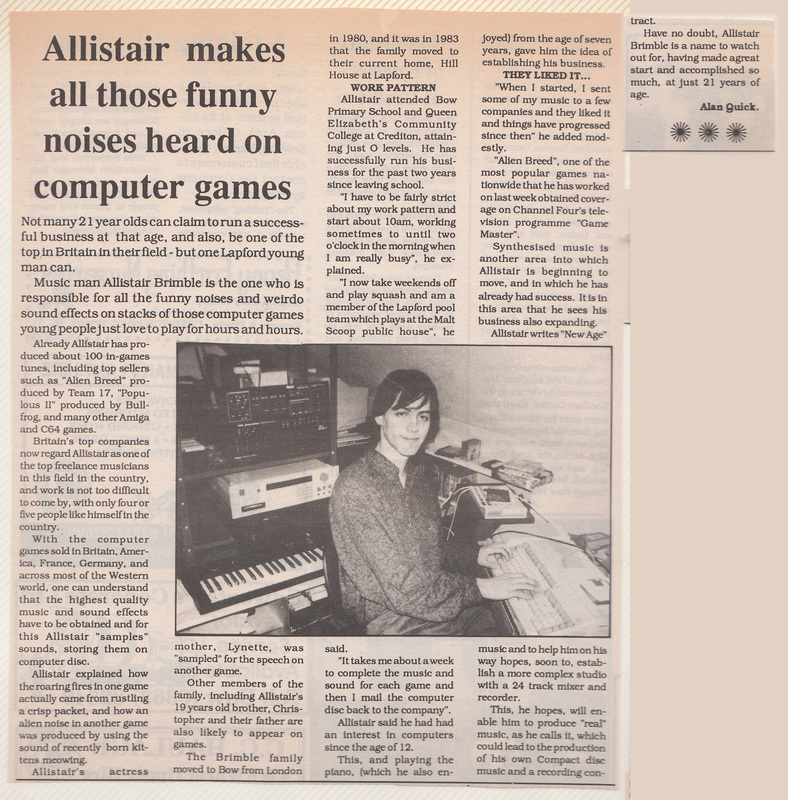 I worked on the Amiga version of Treasure Island, Fantasy World & Spellbound Dizzy, however by then these titles were all being produced in-house at Codemasters so at that time I didn’t meet the Oliver Twins unfortunately. However later on in my career I went to see them at Blitz Entertainment in order to create music for their Chicken Run game on the Game boy Colour. It was great to meet some childhood hero’s of mine! Was it easy to fit in with Team 17. Who was the first person that made you feel welcome? Martyn Brown was my first point of contact and he was the one who offered me my first work with them on the strength of my demo’s, previously made for 17bit Software. What was the funniest and/or most frustrating thing that happened to you whilst working with Team 17? While at Team 17, do you have a favourite piece of music from that time? 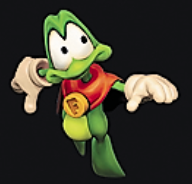 I really enjoyed doing Super Frog due to it’s humour and different themes per level whereas most Team 17 games just had a title tune and sound effects. I understand you wrote the music for Rock Star Ate My Hamster on the ST, which I loved and still play. Was it challenging to write the music for this game? Yes, this was a big challenge! I had to create many individual patterns of music, four of which would play together randomly at any one time. When we (myself and Colin Jones the coder) played the correct patterns with each other you got something that sounded good and for the bad tracks we played the wrong parts with each other with sometimes hilarious results! What process did you use to compose the audio for the ZX Spectrum games? The music had to be entered in a text editor, note by note which is what most game composers at the time did. I used David Whittaker’s sound driver for this which was responsible for his amazing Glider Rider music. However I began composing using an Amiga sound editor called Delta Music and then wrote some software to convert the note data over, saving me a lot of time! 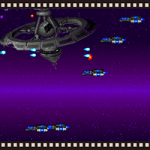 The music I remember the most that you composed on the Amiga were Alien Breed, Super Frog & Project X. I have fond memories of these and the soundtracks were an integral part of the game. Did you play the games to get a feel for the music you were going to create? 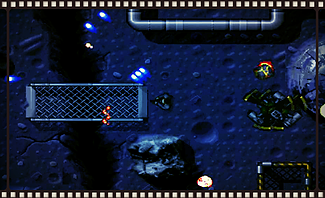 Yes absolutely, I had a version of the game on my Amiga right through development. These games were my source of inspiration. I understand early in your career you had a refusal for Elite, at the time did this make you feel that maybe creating music for games was not going to be for you? At the time I was using a C64 and probably didn’t truly believe I could make it in game music so wasn’t too surprised by the refusal. It was when the Amiga surfaced however that I truly started to believe in myself, especially after my first demo at 17bit software was accepted and Martyn Brown helped me to get my first project.. Thunderbirds for Grandslam. Can you please educate us as to the process you would go through in creating music for a game? I first ask for some video footage of the game or even the game itself. Often the producers have a good idea of what they want so I will ask for some examples so that I can start off on the right path. The rest is just composing the music.. I might start by putting down some percussion and then add a baseline, followed by a melody. I will often discard several attempts until I get 30 secs or so of good music and then expand from there. What would your advice be to somebody trying to get into the game sound industry? Getting into game music today is much more difficult compared to when I started. At that time everything was new and there weren’t many who could make game music due to the limited resources of the computers of the day. Compare that to today where music composition software is widely available and there are no limitation and you realise the problem.. everyone can have a stab at making good music these days. This means you need to be REALLY GOOD in order to stand out. Get your stuff on sound-cloud.. see what you friends think and once you are happy send what you’ve done with links to your sound cloud to as many game companies as you can. What inspired you to release The Amiga Works, and Spectrum Works? Both of which are fantastic by the way. Many of the fans of the Amiga games I had worked on had been asking me to remake my tracks on a CD, however I was inspired by Chris Huelsbecks Turrican Anthology project where he re-created all of his amazing Amiga Turrican tracks and used Kickstarter to fund it! 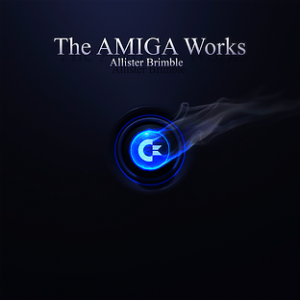 I even got to create a track for his album and in return he made one for The Amiga Works. The Spectrum Works was a commissioned project by Sam Dyer who was creating a book about the Spectrum and wanted an album to go with it. It so happens that my first computer was a Spectrum so creating the album was like re-living my childhood memories! There maybe a C64 related album coming soon.. watch this space 😉 There’s also a possibility for the Amiga Works 2 depending on my current game music projects. I’m currently working on a Virtual Reality shoot-em-up game which uses the new Oculus Rift headset! Also several Indy titles. I agree, however things are changing. Many of my projects now are for small Indy titles produced by small teams and with the self publishing possibilities of Steam this is bringing a lot of new creativity to the market. It’s strange how things go round in circles in the games industry! I do believe that many teams are too big however. This is fine for the huge AAA titles where it would otherwise be impossible but on the smaller titles I believe it has a negative impact, making development too complicated. Look at Roller-coaster Tycoon; Chris Sawyer managed to sell 16 million copies with one coder, an artist and a musician! It shows that it’s still possible! My favourite computer was my Amiga, and two of my favourite games were Cannon Fodder and SWOS :-), and my favourite console was the Megadrive. Do you have a favourite? The Amiga has to be my favourite but I do have very fond memories of my ZX Spectrum 48K. My favourite game of all time is Kick Off by Dino Dini. My favourite console was the Super Nintendo. Do you still game on the current consoles, if so what is your favourite game? Perhaps something about the first Virtual Reality unit that ran on the Amiga. It needed 3 Amiga 3000’s one for each dimension!